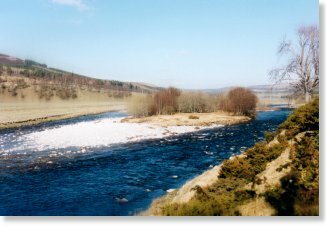 The Old Clune Beat is situated in the heart of the Scottish Highlands on the river Findhorn, and is equidistant from Inverness and Aviemore. 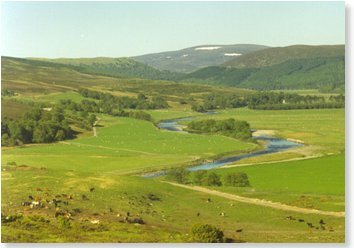 The Strath, as valleys are termed in the Highlands, through which The Findhorn passes is called Strathdearn, and must be one of the most beautiful in Scotland. I could be biased, however, most who come to this magical place agree! 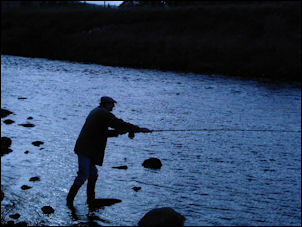 The river Findhorn, whilst perhaps not as well known as its neighbours, the Spey and the Ness, provides good sporting fishing for wild salmon and trout in an outstandingly beautiful setting. 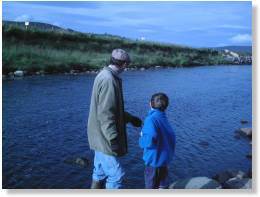 The river rises in the Monadliath Mountains and flows North East to the sea between The Spey and the Ness. The Old Clune fishing beat contains 9 challenging pools all of which can be easily reached from a metalled road running parallel to the river. A maximum number of 3 rods per day may fish at Old Clune. If you are seeking salmon fishing with anything other than a salmon fly - you will have to look elsewhere, as we adhere to a strict fly only policy. 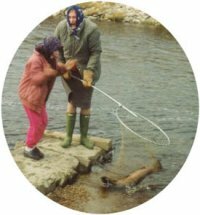 This is the old fashioned way which is appreciated by discerning sportsmen and sportswomen, although this makes catching a fish more difficult! Tuition in the finer casting techniques is available, particularly helpful for those a little rusty! 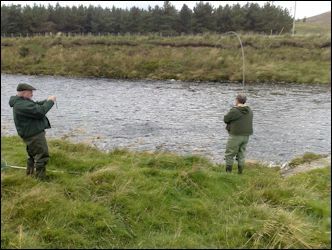 A ghillie (a sort of gamekeeper for the river) is available, and we insist that first time fishers use his experience to begin with - always very helpful to find those salmon lies in the river etc. Casting is assisted by a prevailing wind which blows downstream. 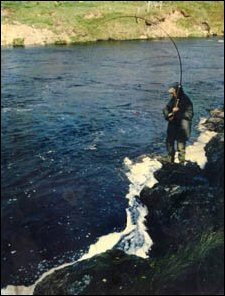 The Upper Findhorn is a 'spate river'- this means that most fish are caught running through to their spawning grounds when the river is 'up'. 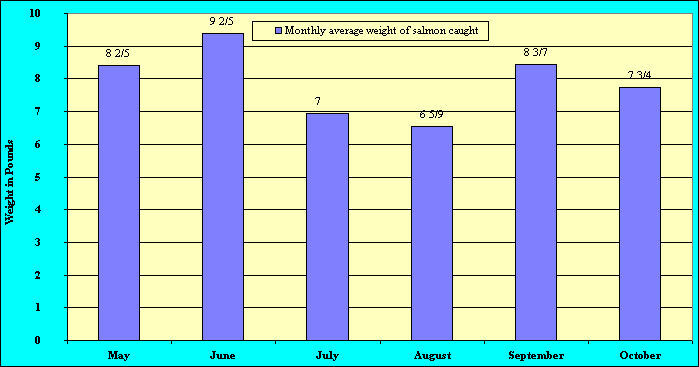 Details of the average weight of fish caught per month are set out below, and perhaps most importantly the average number of fish caught over the years. When is the best time to come? 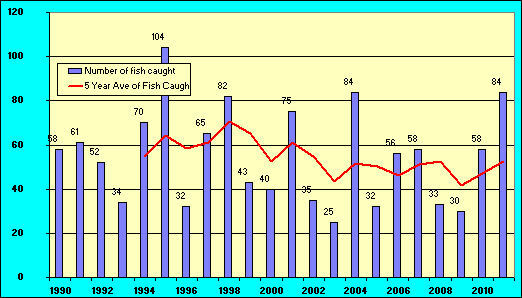 Spring runs in April/May are popular but September has consistently provided the most fish caught. Many fishing tenants have been coming back for years. This year's fishing was superb and characterised by plenty of running late Spring fish and a spread of fishing across the season. We operate a catch and release policy whenever possible. Salmon are caught and released unharmed straight back into the river to carry on their amazing journey. Our catch and release percentage last year was 73% and over the past 5 years only a small quantity of fish by weight and by number have been kept in order to enable the 'king of fish' to continue their amazing journey from (perhaps) Greenland to their original spawning area (and back). We adhere to the prevailing catch and release protocols in this regard, as well as being a keen supporter of the Atlantic Salmon Trust. A discount is available for any holidaymakers taking all three rods for the whole week (6 days fishing) together with Strathnoon Holiday Cottage. Check for availability during season. 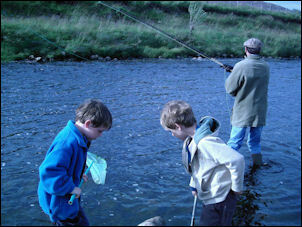 Bookings may be made per day, per three day booking and per week, for up to three rods per day. Brown trout fishing is free for salmon fishers. For those staying at our self-catering cottage brown trout fishing is free subject to availability (only 3 rods per day may fish and sometimes these are taken by salmon fishers who have formally booked salmon fishing on the river at the time). The area is largely free of midges - if you have ever fished the lochs of the Western Isles on a windless day you will be very grateful for their absence at Old Clune! 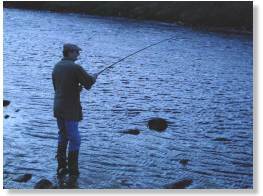 All pools may be fished with nothing more cumbersome than thigh waders. A beautiful Highland cottage, Strathnoon, is available during the season, and is only a short walk away from three of the upper pools. More info.... Further accommodation can be arranged at preferential rates in the vicinity. Sometimes fly casting goes according to plan!